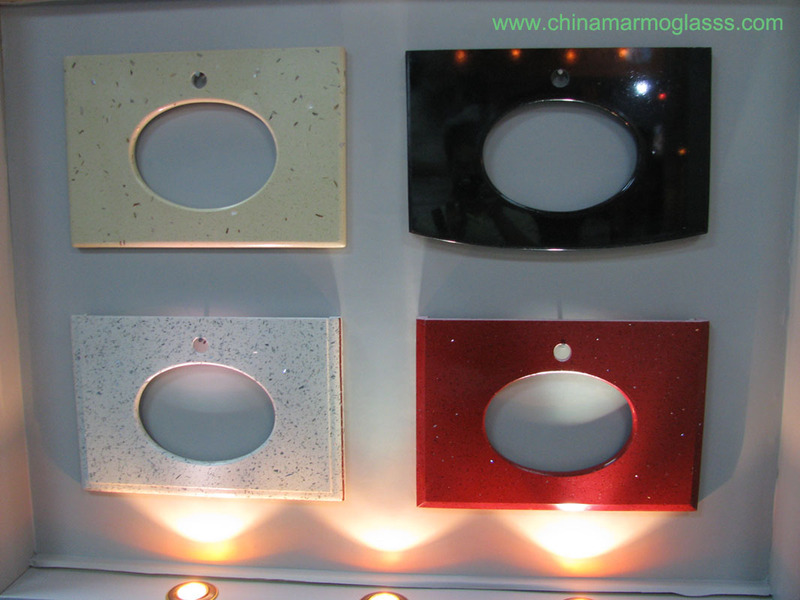 Quartz Countertops-welcome to china marmoglass, nanoglass, nano crystallized glass panel crystallized glass panel,crystallized white stone,white marble,minicrystal stone. We are Quartz Stone manufacturer and articial stone supplier, we could offer quartz slab, quartz stone countertop, quartz stone tile. Quartz stone is a selection of high quality natural quartz stone quartz crystal and polymer materials in a vacuum powered by high pressure synthesis, which contains up to 93% natural quartz, combined with resin, mineral pigments and other additives, components, selected materials are color and vacuum pressure to form very tight complexes, and then by a professional cut and dried, and surface polishing, Calibratin. 1. Kitchen: Cabinet countertops, worktops, decking for kitchen walls, etc. 2. Vanity and Bathroom: vanity countertops, decking for shower room walls, dressing mirror frames, etc. 4. Dining-room: bar tops and desktops in Western-style dining rooms, desktops,wall decking and floor decking in Mcdonald's and K.F.C, etc. 5. Residential application: furniture tops, teapoy, walls decking and floor decking, etc. 6. Office area: bureau and chair tops, large reception desks, etc.